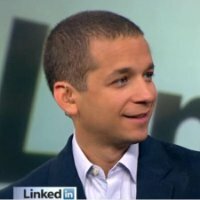 I recently listened to Dan Roth, executive editor of LinkedIn, at a PR Week conference. He talked about LinkedIn and how brands can take advantage of it to get a branding edge. This will be a 4-part series about his insights. The first part, this post, will talk about the different properties of LinkedIn and how they work for your brand. The second part will focus on specific tools available on LinkedIn and how brands can take advantage of them. And the third and fourth parts will be focusing on how to create great content and how to ensure it gets shared and seen to propel your brand forward. LinkedIn is a special online platform in that it is a social network, but one for the professional community only. It has been so well received because it serves all industries the same, and it serves as a sleek platform to easily share your resume with the option to integrate portfolio pieces and references. It’s a one-stop-shop for every professional or recruiter. However, LinkedIn is so much more than a platform for resumes. LinkedIn can and should be used by companies for their “company resume.” LinkedIn calls it business pages, and every company should have one. When you add a company to your personal LinkedIn profile, a page for this company gets created and should then be populated. Think of these company profiles as sort of a Facebook page. You can upload pictures, post updates and articles of interest, link to your website or post jobs. This is your company’s professional, social online presence come to life. Anyone can follow a company on LinkedIn by following such a profile. Followers will then see this company’s updates in their news feed on the homepage. This way, if you keep your company page updated, your followers will continually see your name and hopefully share your updates with their network to expand your reach. Let’s look at LinkedIn’s two main approaches to content dissemination and curation. LinkedIn Today has been in place for the last two years of the ten years LinkedIn has existed. The question LinkedIn asked was: Can we marry social and professional attributes? The news feed on your homepage was the answer and it’s been working well. More than 1.2 million publishers feed into this stream. It is a way for individuals and brands to stay in the forefront of people’s minds. This tool is designed for anyone and brands should take advantage of it just as much as they take advantage of the Facebook news feed. The advantage of LinkedIn is that users go there specifically to hear from companies, while they go to other social media just to have fun with their friends. LinkedIn Influencer is a program for selected top performing influencers in various industries. They were selected by LinkedIn because of their business as well as online presence and their ability to write about their professional lives, but also about their personal struggles, successes and failures. The members of this program were chosen to practically teach LinkedIn users how they became so successful so the LinkedIn community could learn and adopt. The program now has 250 influencers. Chances are you follow some of them, not knowing they were part of an official program. This program is intentionally exclusive and influencers are not pitchable. LinkedIn finds the influencer, not the other way around. The best way to be integrated into the program is by branding yourself, writing a lot, publishing books, and really knowing your industry inside out. When you can do that (your industry’s community at large actually knows you and respects you) and you are also able to write on a personal level, you qualify for the program. 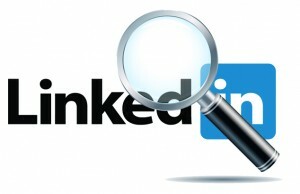 This selection process ensures that what the general LinkedIn community reads in high quality. It has been well received; every post by an influencer receives an average of 100 quality comments. Readers offer their own perspective on the topic discussed and it turns into a discussion. Your goal does not have to be to become an influencer, but through being part of the conversations within this program, you can get yourself known within the LinkedIn community by your constant presence in the comments section. In that way, you become an influencer on your own, targeting those most interested in the area of your interest. While Roth did not mention LinkedIn groups in his discussion about the approach to content dissemination, I would like to add this point here. Groups are a wonderful way to push out your messages, as long as you give them a catchy headline and caption. When you push out information through a group, it lands in its members email inbox every morning, or once a week, depending on their selection. I used to write a professional blog giving resume and interview advice. I now write a lifestyle blog. 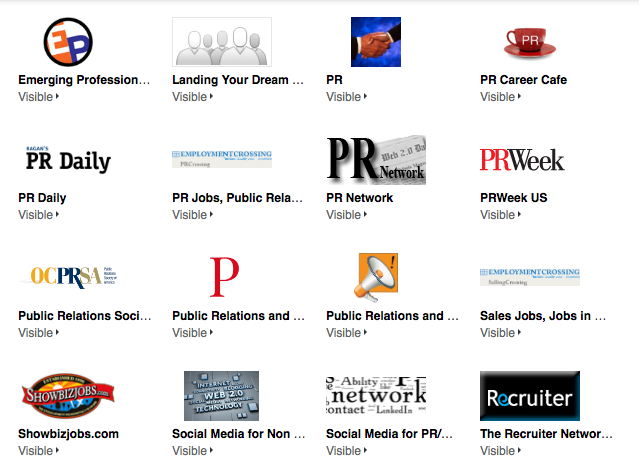 With my career blog, I took advantage of disseminating my posts through LinkedIn. My current blog does not post content applicable to the business community, so I can’t use LinkedIn as a promotional tool. On average, my career blog posts were read by 200% more people than my lifestyle blog posts, just because of referral traffic from LinkedIn. That goes to show that LinkedIn members really are tuned in and are interested in what you have to say if you establish a presence there. What are your experiences with disseminating content through LinkedIn? What are your successes? What are your failures and how did you turn it around? Let us know in the comments!